If I had to describe this book in one word, I would use the word BALANCED. 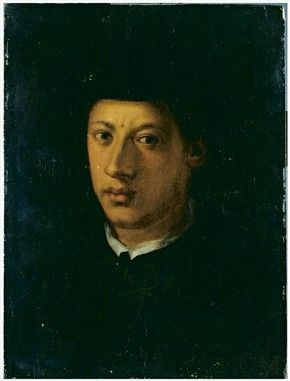 Throughout the entire biography we get a balanced look at the life and times of Alessandro de' Medici, arguably the first black head of state. This is the first biography about the head of state, and unless new information about Alessandro is unearthed, I don’t see how any biographies that follow Fletcher’s will top it. The information provided, the pacing, and the structure of the biography are all excellently done. 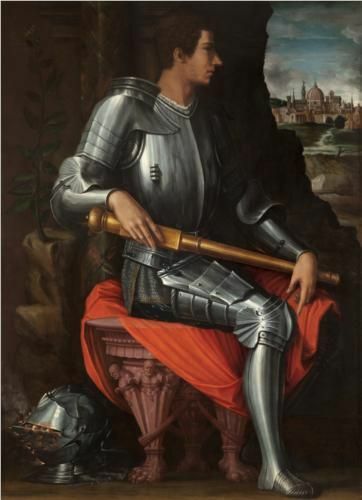 In the opening pages of the book, there are family trees detailing selected members of the junior and senior branches of the Medici family as well as a glossary of names. These features come in handy while reading. This is especially true for readers that are new to this period and these historical figures. The useful glossary is symbolic of Catherine Fletcher’s writing style. While the book is lush with academic level research and information, it is still easily accessible to all readers. In fact, some portions of the book are so engaging that they read as narrative history. At 336 pages the length and pacing of The Black Prince of Florence is just right. When reading I was not looking forward to the ending, but I also did not feel let down when it came. There was just the right amount of information included. I enjoyed the way Alessandro’s life story was told. The core of the biography is a chronological retelling of his life. This core acts as a spine of sorts grounding us into who Alessandro was as a person and ruler. The accompanying excerpts about Alessandro’s family members, friends, and rivals act as limbs that further decorate his world. The Medici family includes a host of interesting characters, but the book remains focused only giving the reader information useful to understanding Alessandro and the world that he lived in. Admittedly, the book might be different for those not interested in this area of history. Also as Alessandro was a head of state the political language and intrigue present might not tickle the fancy of all that read. Even I, a lover of non-fiction had to get used to Italian history. I was constantly looking for some connection to American history, only to remember that Alessandro and his family ruled 200 years before the establishment of the United States as a country. The histories and cultures differ. I was in a new pond of historical information. A pond that I thoroughly enjoyed. As most platforms discussing Alessandro will mention, there has been little study surrounding the Duke. With so little information on the ruler, books like this are crucial. Fletcher’s hard work and dedication to telling Alessandro’s story is no clearer than in the bibliography. The 16-page (I read this using Kindle) bibliography includes manuscript sources from Florence, Rome, and the Vatican City to name a few. Additionally, Fletcher used an extensive amount of printed works as resources for her research. The information used was taken from a variety of sources. Using first hand and contemporary sources Fletcher explains why she believes the ruler deserves a second look. I appreciate Fletcher’s easy-going yet convincing explanations and arguments. The balance that I mentioned at the start of the review is important to lending the information presented credibility. It is also important to historical fiction writers. Having a variety of Black historical characters to draw from, opens up the writing possibilities for authors that want to include black people in stories that take place in the specific times and places. This book shows that the courts and social circles of these historical figures were not homogenous. 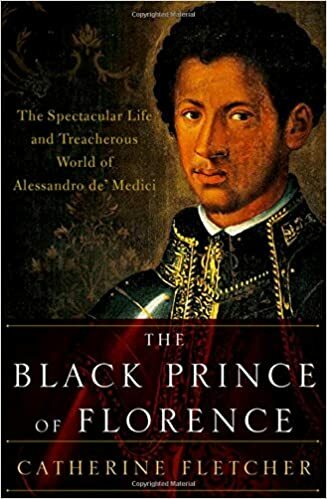 Beyond learning about Alessandro de’Medici, I have learned about the historical presence of black people in Renaissance Italy. I could not have hoped for a better introduction. Purchase your copy of this amazing novel with the Blacks in Period Films Amazon Associates Affiliate link. Do you read historical non-fiction? Disclosure: This blog contains affiliate links. When you make a purchase from the links Blacks in Period Films get a commission that will help keep the blog running.